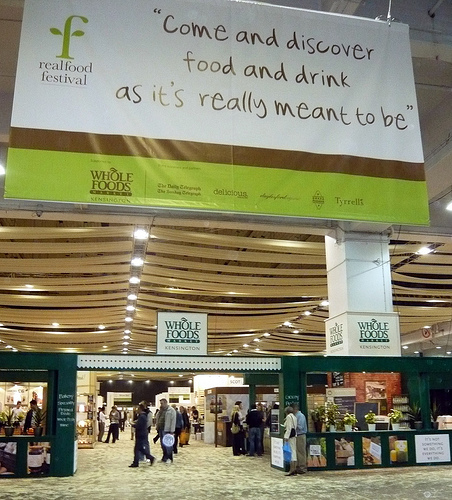 The Real Food Festival is, as its name suggests, all about getting serious about food and the organisers don't seem to be going about it half-heartedly, promising to ‘change your eating habits forever'. Their agenda is to lead the debate on the quality and sustainability of food production. There will be many a hot discussion at the show with topics including ‘Putting ethics to the test: can we afford real food in today's economic climate?' and ‘The Future of Food: A perfect storm of climate change, diminishing soil and water resources, peak oil and population growth?' Speakers include the likes of Zac Goldsmith and Patrick Holden. So apart from enjoying a good food debate what else can you see? Well, you can watch a few master chefs whip up a real food storm, take part in a hands-on workshop, mingle with producers and learn what good food really tastes like - fresh, chemical free and filled with nutrients. 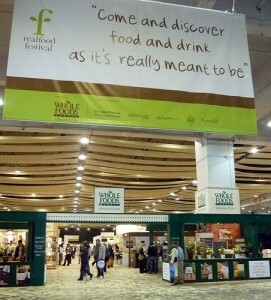 The Real Food Festival runs from the 8th to the 10th of May 2009 and will be held at Earls Court 1, London. Tickets are £8 on the Friday and £14.90 on Saturday or Sunday. Children under 15 enter free. Call 0844 412 4642 to book.